← V.K. Lingam of “Correct, correct, correct” infamy gets 6 months for contempt of court. Is Abu Sayyaf planting agents in Sabah for more kidnappings? No ransom, no head? Was Sarawakian engineer Bernard Then beheaded because no ransom was paid? This is SCARY: Police communique warns of suicide bombers in KL and Sabah! KUALA LUMPUR • Operatives of terror group Abu Sayyaf have been planted in strategic areas in Sabah, ready to carry out kidnap-for-ransom assignments the minute they get the “go-ahead”, according to a counter-terrorism expert quoted by New Straits Times (NST) newspaper yesterday. Mr Andrin Raj, the South-east Asia regional director for the International Association for Counterterrorism and Security Professionals-Centre for Security Studies, said the Abu Sayyaf Group (ASG) – a small but violent group known for bomb attacks, kidnappings and beheadings in the southern Philippines – was getting a lot of help from local sympathisers in identifying potential targets among tourists. He told NST a Filipino group based in Sabah, known as the Knights of the Right Keeper, was also supporting the ASG. “Besides having their operatives rooted in Sabah and areas outside the state, they also have a large network that allows them to tap critical information. Knights of the Right Keeper hold dual nationality or permits, allowing their presence here to go unsuspected. “There are other operatives linked to the ASG operating from within the Kota Kinabalu International Airport and other airports in the state,” said Mr Raj, who works with governments and enforcement agencies to combat terrorism in South-east Asia. 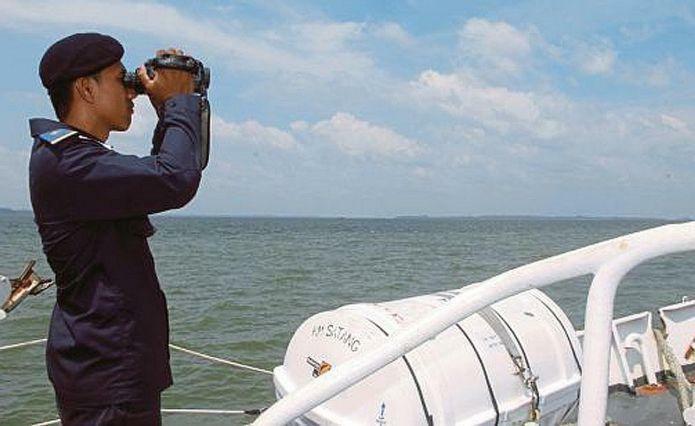 The operatives are believed to monitor arrivals to identify potential victims, then provide detailed information on the targeted tourists’ residence and duration of stay, as well as other information to facilitate the kidnapping. 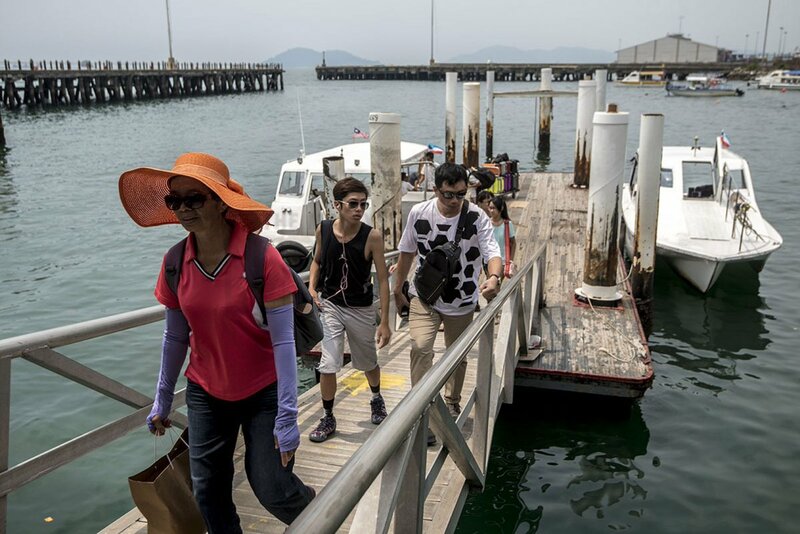 Mr Raj told the NST that the ASG – which has been linked previously to Al-Qaeda but has now pledged allegiance to the Islamic State in Iraq and Syria – might continue to abduct tourists from Sabah as it seeks to strengthen its foothold in the region. An expert on terrorism has said that the Abu Sayyaf group (ASG) is getting help from locals and “assessment experts” or lookouts in Sabah. They have been stationed at airports in the state to identify kidnapping targets among tourists, Mr Andrin Raj told the New Straits Times. Mr Raj works with the governments and enforcement agencies in the region and advises them on combating terrorism. He is also the South-east Asia regional director for the International Association of Counter terrorism and Security Professionals. About two weeks ago, the Abu Sayyaf beheaded 39-year-old Malaysian Bernard Then. Mr Raj told the New Straits Times that Abu Sayyaf operatives have been planted in strategic areas in Sabah, ready to carry out kidnap-for-ransom assignments the minute they get the “go-ahead”. KOTA KINABALU: Sabah police are not giving much weight to intelligence reports of Abu Sayyaf suicide bombers in the state even as the top cop seeks to ease fears stemming from viral social media messages. Sabah Police Commissioner Datuk Jalaluddin Abdul Rahman said he did not think that there was any sleeper bomber in the state. “It is information that we have received. I am not saying it is real or not real. Like all information, we investigate and verify. Not all information we receive is real. “I personally do not think they (sleeper bombers) are here (Sabah). “The public should not panic and stop adding to such messages,” he told reporters after attending a police Deepavali open house with Kota Kinabalu City OCPD Asst Comm M. Chandra. “The threat is not as big as how social media made it out to be,” he said, referring to numerous viral messages of suicide bombers in shopping malls in the city and Penampang. Abu Sayyaf is not known for suicide bombings but more for its kidnap for ransom activities by cross border criminal gangs in Sabah’s east coast. The UK advisory, which was posted yesterday (Nov 20), also told its people to “take great care” in the town of Sandakan and along the coastal area south to Tawau. KUALA LUMPUR — The UK government has warned its citizens against travelling to Sabah, citing security concerns over the ongoing ASEAN Summit and a general terrorism threat. A travel alert was published on the government’s official website, with the Foreign and Commonwealth Office advising against all but essential travel to all islands off the coast of eastern Sabah from Kudat to Tawau, including to Lankayan, Mabul, Pom Pom, Kapalai, Litigan, Sipadan and Mataking. “There is a general threat from terrorism. Attacks could be indiscriminate, including in places frequented by expatriates and foreign travellers. “There is a threat to foreigners of kidnapping and criminality on the eastern coast of Sabah and, in particular, the islands close to the Sulu Archipelago in the southern Philippines,” the advisory said. 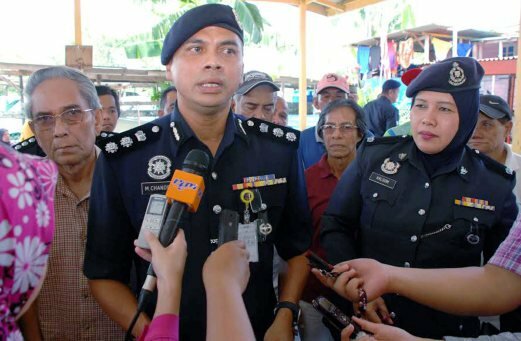 Sabah police, however have denied claims circulating on social media that Abu Sayyaf suicide bombers were targeting shopping complexes in the city. Polis Kota Kinabalu hari ini memberi amaran kepada pengguna media sosial agar menghentikan penyebaran khabar angin mengatakan terdapat pengebom berani mati dari kumpulan Abu Sayyaf di sekitar bandar raya itu. 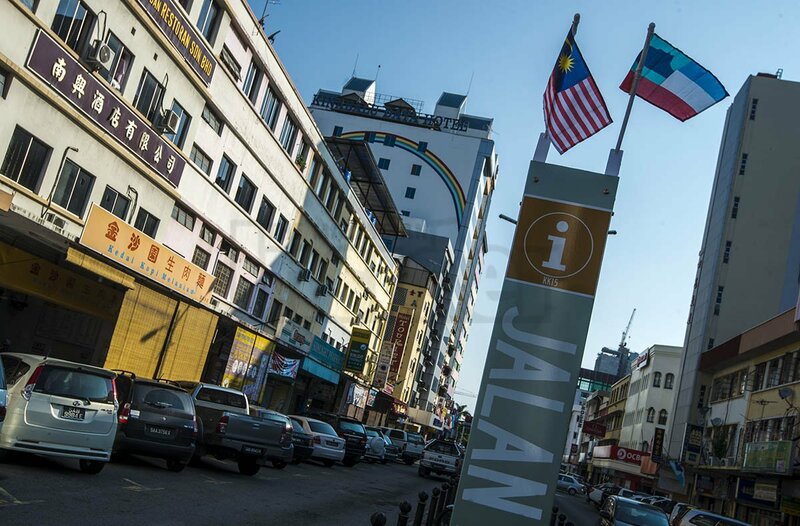 KOTA KINABALU: Police here warned the people from spreading rumours about suicide bombers being placed by the Abu Sayyaf group in various locations across the city. City Police chief Assistant Commissioner M Chandra said action will be taken against those who post such rumours to spread fear in the social media such as Facebook and chat application Whatsapp. 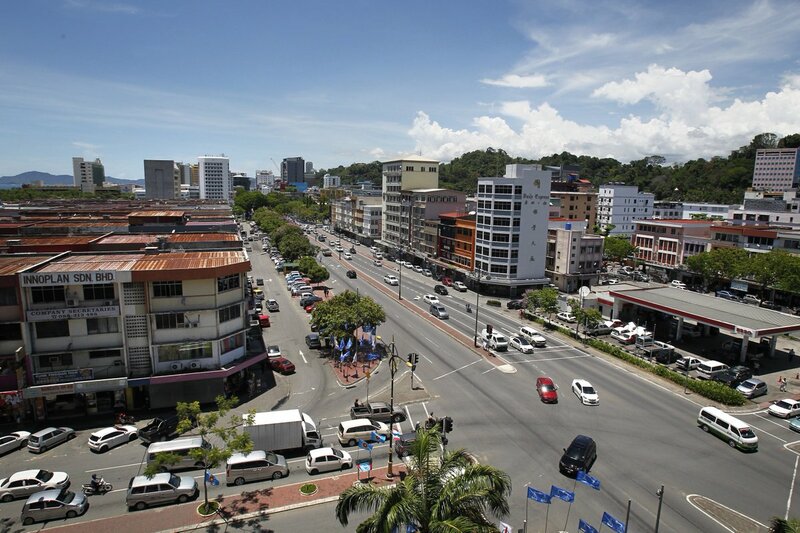 KOTA KINABALU: Police have denied claims circulating on social media that eight Abu Sayyaf suicide bombers were targeting shopping complexes in the city. “We strongly deny social media claims Abu Sayyaf suicide bombers were targeting various locations in Kota Kinabalu City in particular and Sabah in general,” Kota Kinabalu City police chief Asst Comm M. Chandra said Saturday. He said the viral messages on Facebook and WhatsApp among other social media platforms were creating uneasiness and fear among the people. Chandra said that firm action would be taken against irresponsible parties spreading such rumours. He said police were investigating the case under criminal intimidation and also under the Communication and Multimedia Act among other laws against those involved in spreading the false information that creates public fear. This entry was posted in Uncategorized and tagged abu sayyaf, bernard then, KK, kota kinabalu, rumour of suicide bombers in KK Kota Kinabalu. Bookmark the permalink.